I spent two days (Monday and Tuesday) carving the neck. 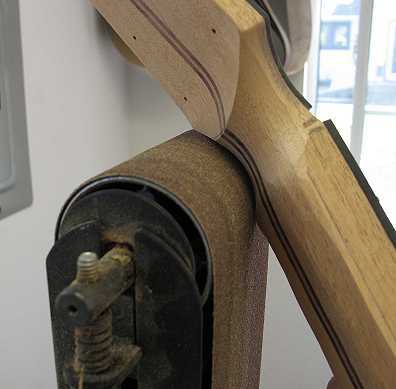 Below I am using my belt sander to shape the peghead volute. I first drew the curve on the peghead. 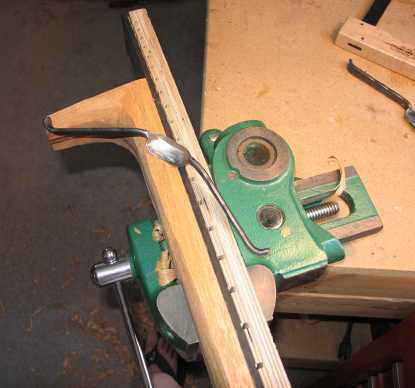 Then, by carefully rolling the neck shaft from side to side, I sanded the curve up to the drawn line until I had approximately the depth I wanted at the nut. 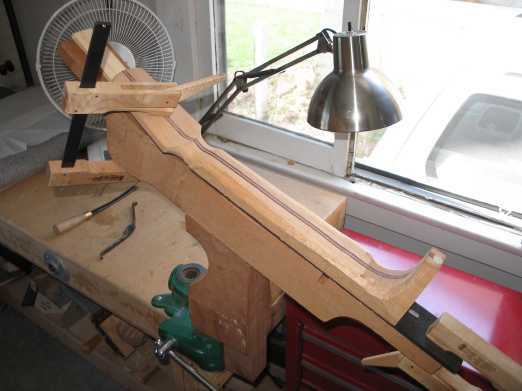 Here is the neck clamped to the neck-holding fixture, ready for the carving. This is the tool I start with — a curved mini-drawknife from North Bay Forge. Later I use my Micro-rasps (a double-handled one and a round one), a half-round mill file, a scraper, and sandpaper. 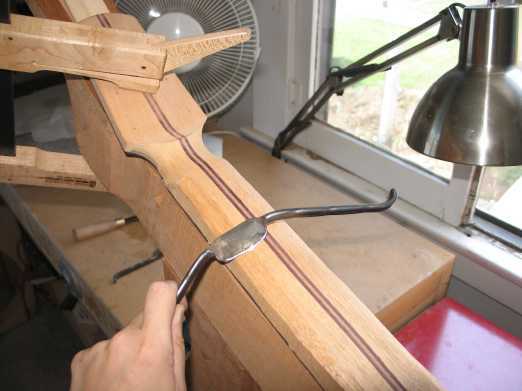 I also use the drawknife to trim the sides of the neck flush to the fingerboard edges. 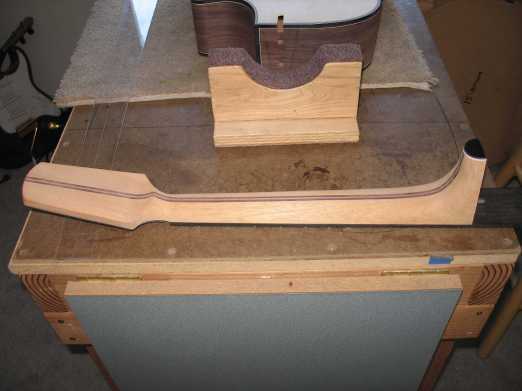 Here is the finished carved neck.